His Grace Bishop Kyrillos (formerly Fr. John Paul Abdelsayed) is the first American-born bishop of the Coptic Orthodox Church. He holds a Bachelor of Science in Communication Studies from UCLA and a Juris Doctor degree from the Georgetown University Law Center. He also earned two Masters degrees in Theology from Holy Cross Orthodox School of Theology in Boston, and a Ph.D in History of Christianity from the University of Notre Dame, School of Theology, in Indiana. After serving as a consecrated deacon at the Coptic Orthodox Christian Center from 2000-2002, he was ordained as a celibate priest for St. Paul Brotherhood on October 20, 2002. He served at St. Mina Coptic Orthodox Church in Riverside for several years. On March 14, 2016, His Eminence Metropolitan Serapion elevated him to the priestly dignity of Hegumen. On Thomas Sunday, May 8, 2016, he was tonsured a monk by His Grace Bishop Sarabamon at the Monastery of Abba Antony in Yermo, California. 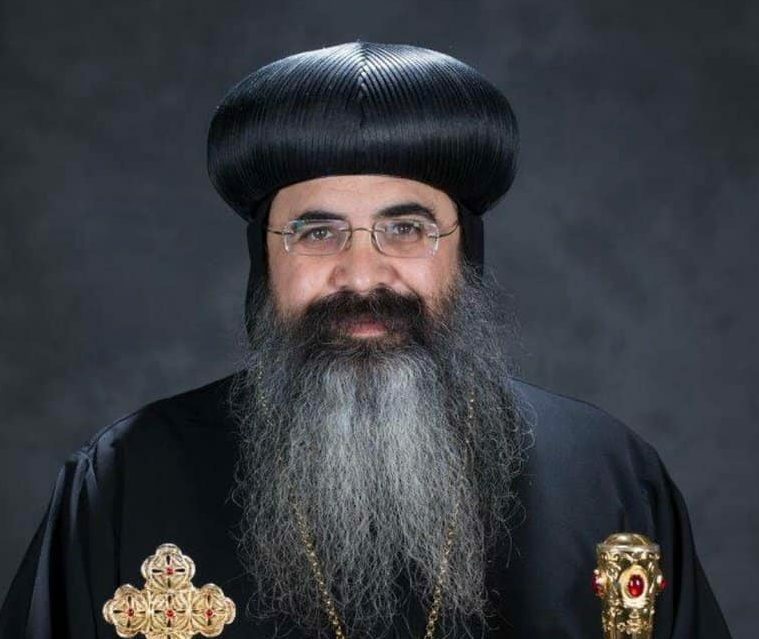 With great joy, His Holiness Pope Tawadros II consecrated him as an auxiliary (general) bishop to serve alongside His Eminence Metropolitan Serapion in the Diocese on Sunday, June 12, 2016 at the Cathedral of the Holy Virgin Mary in Zeitoun, Egypt. He currently oversees Christian education in the Diocese and serves as Dean of the St. Athanasius and St. Cyril Theological School at Claremont University.